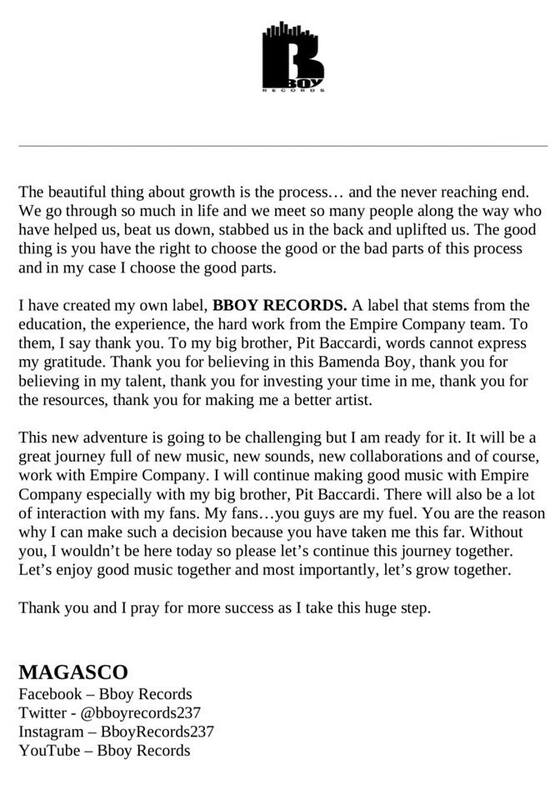 Magasco’s shocking exit from record label, Empire Company has been met with mix reactions from fans but former boss, Pit Baccardi says he is standing by his side as he moves on to greater things. 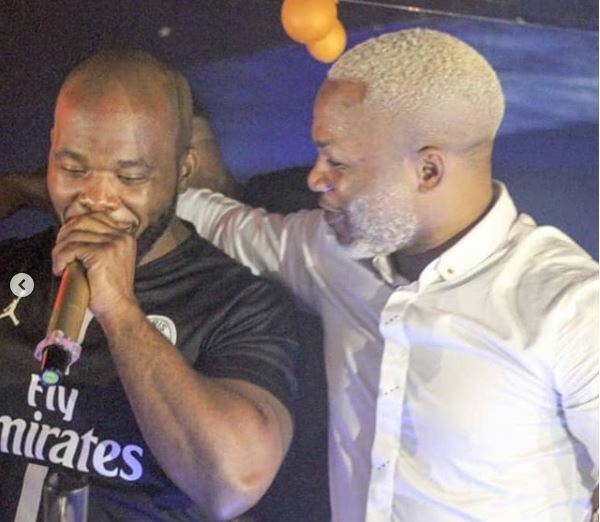 The Cameroonian singer announced he’s leaving his record label of five years – Empire Company – in a social media post on January 18 and has since been getting lots of encouragement from fans, friends and Pit Baccardi. In his press statement, Magasco appreciated Baccardi for not only signing him on when no one did but called him his “brother” who believed in him and used his resources to make him a better artist. The singer also assured fans that he would continue to make good music with his former boss and label. Magasco has created his own music label called BBoy Records (Bamenda Boy Records) which he says he will be managing and perhaps would sign new rising acts in future. 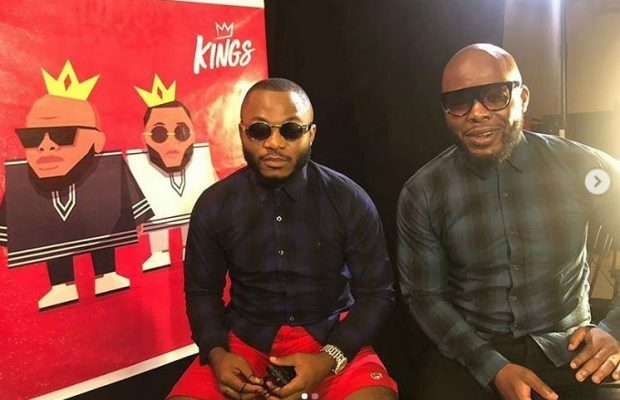 The singer told his fans their love and support for him made it easier for him to discontinue his contract with Empire Company and he is also counting on them for strength as he walks this new career path. Pit Baccardi says Magasco is a great artist who has the right to pursue greatness, even from somewhere else. In a recent post on Instagram, the Empire Company founder assured the ‘Wule Bang Bang’ hit maker he will stand by his side as he delves into his new journey. “The life of a man is to set goals and achieve them. I’m by your side as ever for this new adventure,” he wrote. With Magasco out of Empire Company, music group Rhythmz and singer, Mimie are the only ones still signed to the label. Other artists like Duz C, Nami Nami Cyrus and music group X-Maleya also left the label in the space of three years.